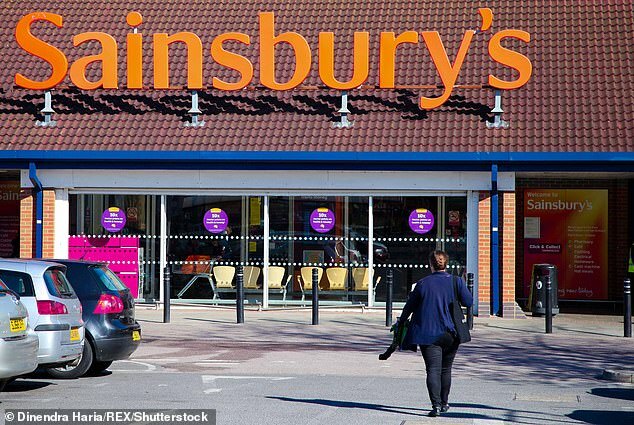 Sainsbury’s has been criticised for letting standards slip as it revealed sluggish sales growth and plunging profits. The supermarket, the second-biggest in the UK, blamed staff shortages and hot weather after customers grew frustrated with poorly stocked shelves and messy stores. Chief executive Mike Coupe insisted he was pleased with the latest results despite same-store sales edging up just 0.6 per cent in the 28 weeks to September, while profits tumbled 40 per cent to £132million. He said empty shelves and shabby stores were due to hotter weather and slashing thousands of roles to cut costs. It comes as Sainsbury’s awaits a decision from the competition authority on a £14billion merger with Asda. The merged group is targeting £500million savings by using its buying power to get better deals from suppliers and lower prices for customers. Sainsbury’s has made space for sushi bars, beauty aisles, Specsavers concessions and Argos stores, after buying the retailer for £1.4billion. It now has 251 Argos shops within its stores. Despite a 0.5 per cent slump in supermarket sales, total revenues were boosted by the opening of new Argos shops, rising 3.5 per cent to £16.8billion compared with a year earlier. Sales in convenience stores rose 4.3 per cent and online grocery sales jumped 6.9 per cent. The Competition and Markets Authority is investigating Sainsbury’s takeover of Asda and its potential impact on suppliers and customers. It identified almost 500 areas that Sainsbury’s and Asda could be forced to sell supermarkets to get the deal done.